It goes without saying that some of the most horrific accidents seen on the roadways of Nevada are due to accidents between big rigs or semi tractor-trailers and passenger vehicles. What many don’t know are some of the most common reasons for these often-fatal accidents as well as the technology available to help reduce them. Finally, how far off are we to automated self-driving trucks and when should we expect to see this happen. First, a common misconception is that most accidents between passenger vehicles and big rigs is due to the fault of the truck driver, being driver error or the driver not being fully alert at the wheel. While many accidents are due to this, it is well known that most of these accidents are due to the fault of the passenger driver often not being aware, as is the case with texting or phoning while driving. Secondly, drivers of semi tractor-trailers are in fact professionals, as driving is their profession. And while it is easy to weave your car in and out of traffic to overtake just about anything, truck drivers are behind the wheel of vehicles that sometimes weigh 80,000 pounds which take much more time to slow down or stop – so showing courtesy by not swerving in front while overtaking or passing on the right, where the number of blind spots increases, is a good rule of thumb when sharing the roadway. It would seem second nature that passenger drivers take extra caution around semi trucks as in the event of an accident the passenger car nearly always loses, however many still act as though they are just another vehicle – big mistake. However, there is one major point that needs to be made about the commercial vehicle industry in general: The availability of technology to help avert accidents is alarmingly not present in the majority of big rigs on the road. A 2015 report by a Washington D.C. think tank named Securing America’s Future Energy (SAFE) found that only about 15% of all commercial fleets on the road are equipped with technologies available, including automatic emergency brakes (ABS) and forward collision warning (FCW). The reasoning is often the costs associated with retrofitting older trucks as well as the lack of legislation to require these technologies. There are even more technologies available, similar to the auto industry, such as blind spot technology, electronic stability control (ESC), and lane departure and lane-keeping warnings. It is understandable that these technologies can’t be implemented overnight, however implementing regulations to ensure that all modern-day devices are fully equipped in big rigs in the future is of vital importance. These requirements are typically set on the federal and sometimes state level via legislation enacted as law; in fact, newly built trucks have been required to have ABS since 1997 and more recently ESC in 2017. However, this doesn't apply to the thousands of old commercial vehicles on the road, nor the industry being slow to embrace these technologies due to the costs involved, especially when autonomous big rigs/semi-trucks are on the horizon. Which leads us to the final question of when this will happen. 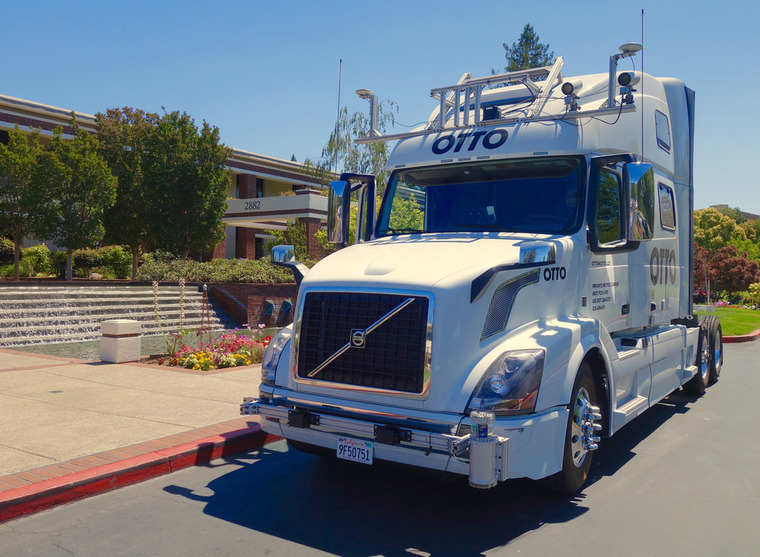 Autonomous driving of trucks may very well come prior to the full adoption of autonomous cars. Many companies including Uber subsidiary Otto, Google’s Waymo, Tesla and Daimler are currently racing to enter the commercial segment like personal use autos. The reason is that the industry is massive, with approximately $53 billion dollars in goods being transported daily. Similar to cars, these practices will unfold in a hybrid version at first, such as full autonomy once on the freeway with drivers navigating off, to potentially a day when autonomous trucks may rule the road with no driver on board at all. Estimates in the industry range from 10-20 years for the process to take effect on a wide level, and again legislation will be needed to ensure it is implemented at a national level with penalties for the companies that don't abide them. And while a future of autonomous big rigs is soon approaching, there will be obvious growing pains along the way, and while one or two Tesla or Uber vehicles having technical issues here and there has occurred, the ramifications of this happening on a commercial semi-truck have much larger implications. Similar to the essay published on our site last year regarding autonomous cars and the future of driving, when big rig accidents do happen, the future of autonomous trucking will be fraught with lawsuits revolving around product liability – not driver error. Until then, let’s hope that passenger vehicle drivers heed the above warning when motoring with big rigs, and at the same time the commercial industry take steps to incorporate technologies available now to make driving safer, with the end goal of autonomous trucking that will vastly increase our roadways in Nevada as well as the rest of the world.